Dear Family and Loved ones! This week I don’t have tons of time to write due to some technical difficulties this morning and the bad timing of programs! But with the time that I do have I want to share with you some events that took place this week! First of all, our German companion, elder Heilein, as moved to pest for his last week. So now it’s just elder priest and myself. I finally feel like I have 2 feet on the ground.. And now it’s time to run! We are projected to be together until I go home.. So... it’s pretty crazy. Time is flying by! Monday and Tuesday this last week was probably the two most stressful days of my (in field) mission experience! Recently there have been a lot of changes and it seemed that everything was just pilling on top of each other and that we needed to do this, and that, and this, and that, and then this, and then this unexpected thing. And we LITERALLY did not have time to get everything done that we needed to get accomplished in one day. I recognized this and so did elder priest and so we sat down and I was like " this isn’t okay. Something has got to change" So we sat down and we started to prioritize and simplify our life.. Tossing out all the unnecessary things that were on our shoulders. It was an amazing experience for me that I’m sure I’m going to remember for the rest of my life. So I would suggest the same to you guys. If your life seems to hectic, if you don’t have time to read from your scriptures, if there are too many unnecessary things in your life, if you don’t have time to spend time with your kids, if you don’t have time to go to church, if you don’t have time to pause for two seconds and help someone who is in need on the street, if you feel stressed or overloaded with too many activities.. If you have too many clothes or antic pots, SIMPLIFY YOUR LIFE! PRIORITIZE a little bit. Do those things that really matter most. There is a special beauty and peace in a simple life. The second quick thing that I would like to share with you guys is this. 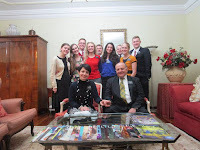 I went with splits with elder cannon on Wednesday this week. And while we were on splits up here in Buda, we decided to go tracking, it was about 7 o’clock at night and really dark. We knocked on a few doors.. And well.. The Hungarians weren’t having any of it. We got some colorful words along with " you Mormons go back to your stink hole! " We then had an impression to change areas ( haha ) and we went to one of the most popular metro stops in Budapest. There we posted up, and took out all the books that we had ( total of 8) and we held up the book in the air while crowds and crowds passed us. Then we started to flyer at the same time. When the book was in the air everyone would look up and see it. They would do 1 of 3 things. 1) Look up, see it’s the book of Mormon, and then they would look down as if they were embarrassed. 2) Look up, see it, and then look in wonder at what the heck is this? 3) They would come up to me and say " what is this book? Can you tell me a little bit more about it? How much does it cost? " Then I would proceed to tell them about the book and about the restoration of the gospel and then explain that the book was free on conditions of a willing and open heart to read it. ( haha) Well. the end of the story is that we gave out all 8 books in less than an hour and a half, and we got 7 phone numbers out of those 4 people set up right there with us to learn more. AND.. we also ran into an old member of the church who had lost the church because of inactivity. We exchanged phone numbers and then he called me the next morning to meet that day. We met with him and I was amazed at how strong his faith was. He explained to us his story of conversion.. and then also his story of his downfall. ( a girl ) he said. ( haha ) he started getting with this girl who lead him down the wrong path. And then that is was started the 8 year inactivity. He recognized his fall and his mistake and sins. and he expressed to us his feelings and desires of coming back. 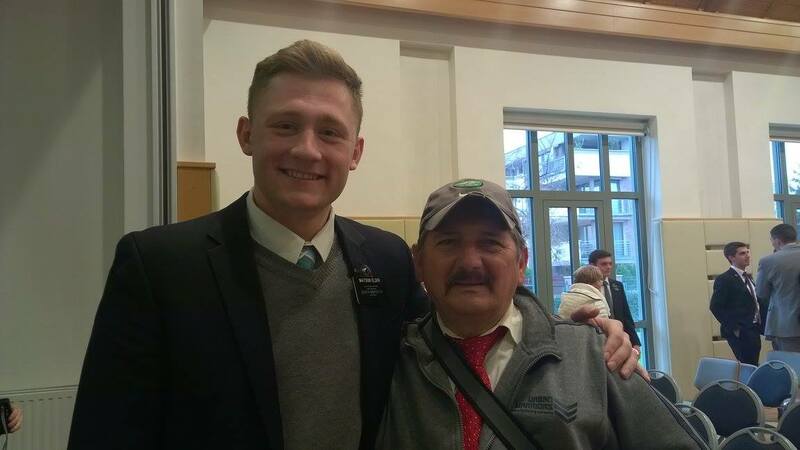 After a wonderful conversion about the atonement and about returning, he committed right there to go to church this next Sunday and start being active again. He was once, a long time ago, in the bishopric, elder’s q. pres., and served in many other important positions. His knowledge was incredible. 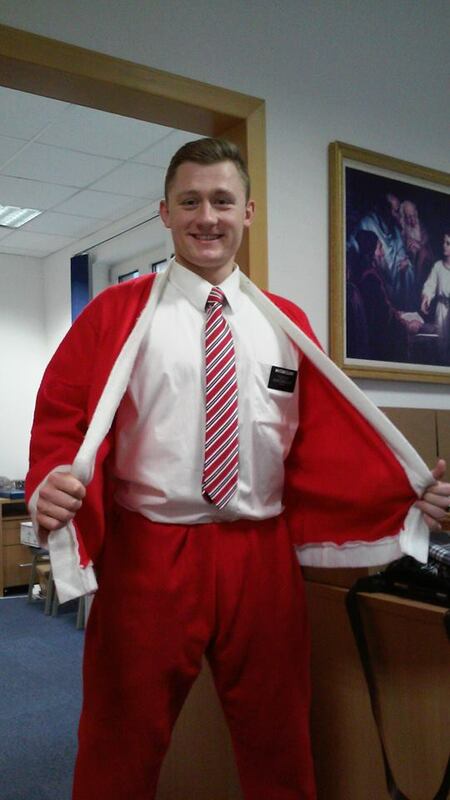 He will be a HUGE help in this ward as he returns. 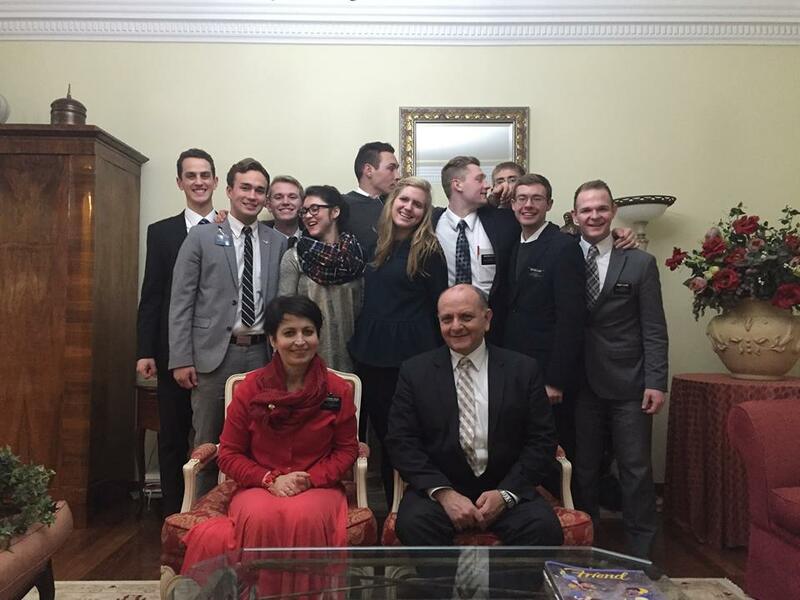 The next day we helped him move into a different house that, if we weren’t there with the elders quorum pres, he couldn’t have moved. On the way home that day I was reflecting on what just had happened these past two days, and it really touched me. All though these are really simple stories that I have shared with you, there is miracles and the hand of God in each one of them. God truly leads people to his chosen servants, those who are ready, who need to return, who need help, who need the gospel, who need to smile, who are having a bad day. God is aware of us and our needs. If we are willing and humble enough to trust him and follow him, we will never need to worry. I was notified about some sad experiences that took place this last week back at home and my heart truly goes out to those people. But the reassurance still comes back into my mind that God has truly gone before our faces, he has prepared the way, God is behind us, and backing us up, and he has charged his angles to be around us to bare us up. There are unseen forces for evil and for good. And I testify to you guys that as long as we trust in the graceful arm of God, we will never need to doubt, fear, or tremble in the face of adversity. He always prepares a way for escape as we put our trust in him. Hey guys! This week was a crazy one for several different reasons! But the most recent one was about the terrorist attacks that were made in Paris just this last night. I’m sure that you will become aware of it really soon. This morning President Szabadkai received some direction from the Church for us to avoid all large gatherings, tourist attractions, and for us in Budapest all the malls, etc. It will be easy for everyone expect for us. We live in the heart of Buda and everywhere we turn or travel to.. it is a popular place. So I’m interested to see what other direction comes our way. I don’t think that Hungary is a big danger zone though.. Most people just look over Hungary. It’s not a very popular place in Europe. So that is good news. As far as my week went it was pretty normal. I have been having slight health issues to which rest will solve all the problems. I rested a lot this week. On Thursday we drove across the whole country. We were first supposed to go to Misolc for splits with the zone leaders, and as soon as we got into miskolc, president called and needed us to go to székes ( on the opp. 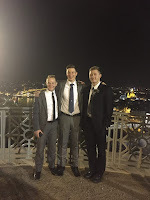 side of the country) to pick up a missionary, whose companion is in the hospital for 4 days due to a stomach virus, and to bring him up to Buda. 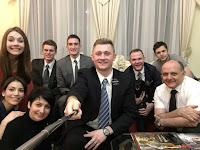 I didn’t know that if a missionary is hospitalized.. that the companion can leave and the missionary can be by himself! But according to the Missionary department that is totally fine! So we picked him up and took him to Buda. We were in the car for 8 hours that day! pretty crazy! On Wednesday we had Mission Leadership council, in which we gave a leadership training to all the zone leaders and to all the sister Training Leaders. It went really well as we talked about the responsibilities of a leader and then we also talked about what it means to show a good example and we talked about the Christ like attributes of Faith and Charity, and how they are vitally important to great leadership. Also in the meeting we got to see the upcoming new Christmas video that the church has done! IT is going to be so cool! and it’s going to be a big deal! The church really wants this to be a great missionary tool this year so they have put a lot of work into it and they are sending it to us early so that we can get ready to use it the most effective way. AND! haha, dad you will love this one! During sister szabadkai.s training she randomly asked me to tell the war story that I told while in duna in a zone conference to everyone. She said she really liked it and it touched her heart. Even though it was one the spot.. I told the story pretty well! everyone liked it:) Also, this is a cool random fact.. meet the Mormons in Hungarian is the 4th most popular out of all the languages. 1) English 2) Spanish 3) Chinese or something 4) Hungarian! It’s pretty popular here to. ITs great that its having this much success here! Recently it has come out on YouTube for free in all the languages. It ends the 22nd of November. 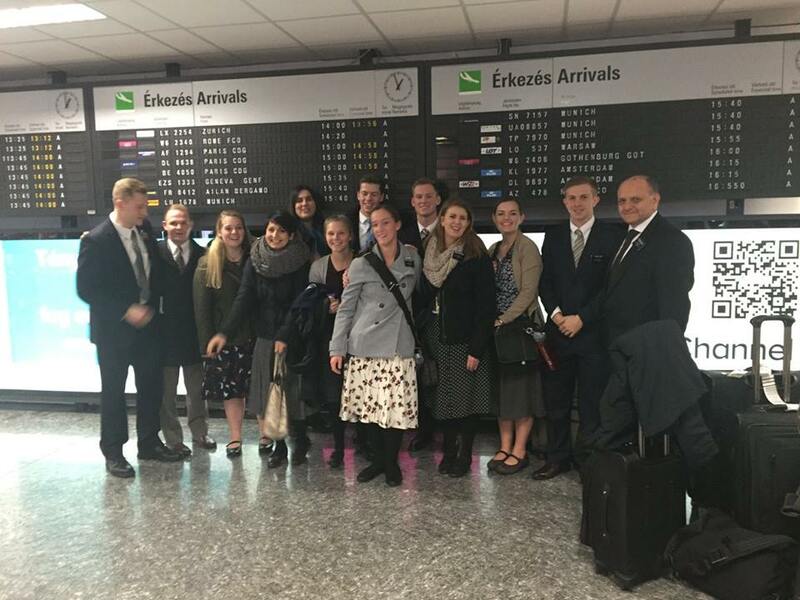 Also Thursday morning we dropped our German companion, Elder Heilein off at the airport. It was pretty real for me.. realizing that I will be in the same position in just under 97 days. Still a long time.. but at the same time really short. I heard that ball has started and this week is going to be purple and white.. max.. just go out there and kill it man! Take every game like it was going to be your last. I’m really excited to come home and watch your last couple games this season. Go represent! This week for me was really good. A lot better than the last two weeks. I’m feeling just about 100% again! So that's good:) ready to go back at it for the last couple weeks. Not too much happened this week although..... WE did get a NEW bap. DATE! It is this really cool 25 year old guy, who agreed to be baptized on Dec 12! So we are really excited and happy about that. 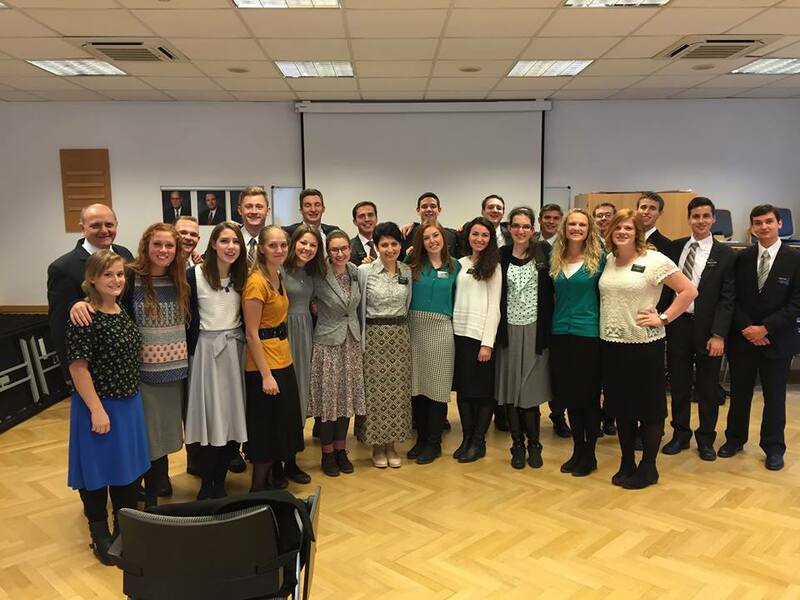 For those of you who aren't familiar with the Hungary Budapest mission.. bap. dates are really exciting. :) So that was probably the highlight of the week. His name is Matyás! This last Wednesday the mission had zone conferences and we were able to travel to dunaujvaros to attend theirs. It was really good and we also got fed a really good thanksgiving dinner by the senior couple. It’s insane to me that it is already thanksgiving! This Sunday is stake conference and it’s a really special stake conference. 1 member from presidency of the seventy is coming. 1 member from the area presidency is coming. and 1 member from the area seventy is coming! It’s pretty rare to have this! 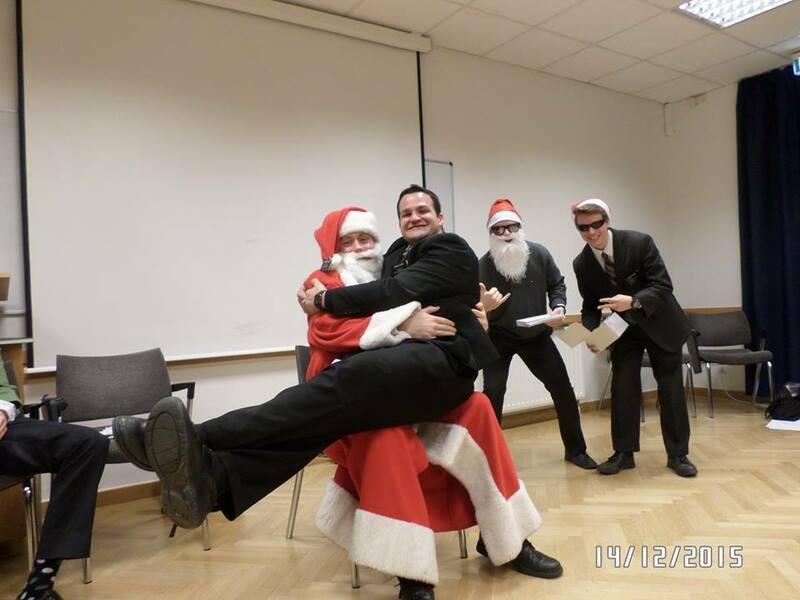 And today President szabadkai and probably us as well, are going to meet with them! It should be a really good stake conference. Other than this, it was just a normal week of missionary work and missionary life! Nothing too crazy happened! The Lord has truly bestowed upon us so many mercies and so many blessings, and he continues to do so daily. If we would just slow down just enough to recognize the hand of God in our lives every day and then take the extra 5 seconds to say a quick prayer of thanks to God, we will feel a new spirit and a greater light in our lives. We will become happier! We will become nicer. We will become more patient. We will become more Christ-like, recognizing that everything that we have received has come from the great mercies of God. And most of all we will be filled with His spirit; which teaches us to continually do good works, to walk humbly, to forgive, to speak kindly, and to love unconditionally. I hope that all of you have a wonderful thanksgiving! I am so thankful for you guys and all of the support that you have given me, not only these last 2 years.. but throughout my entire life. I am eternally grateful for you all! This week in Hungary Budapest was a fun one! 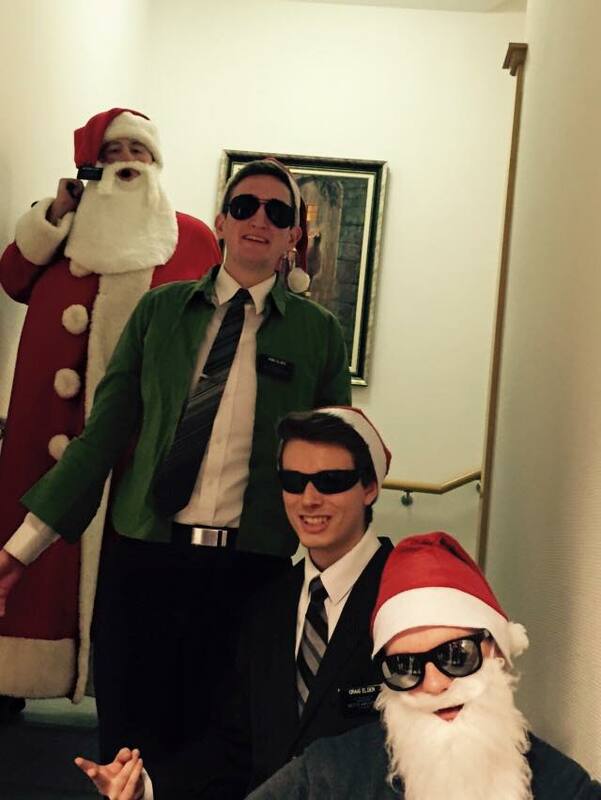 We spent a lot of time traveling and visiting other missionaries. Of those places, we went to Érd, and we also went on a surprise split with the elders down in Veszprém, by the Balaton Lake! 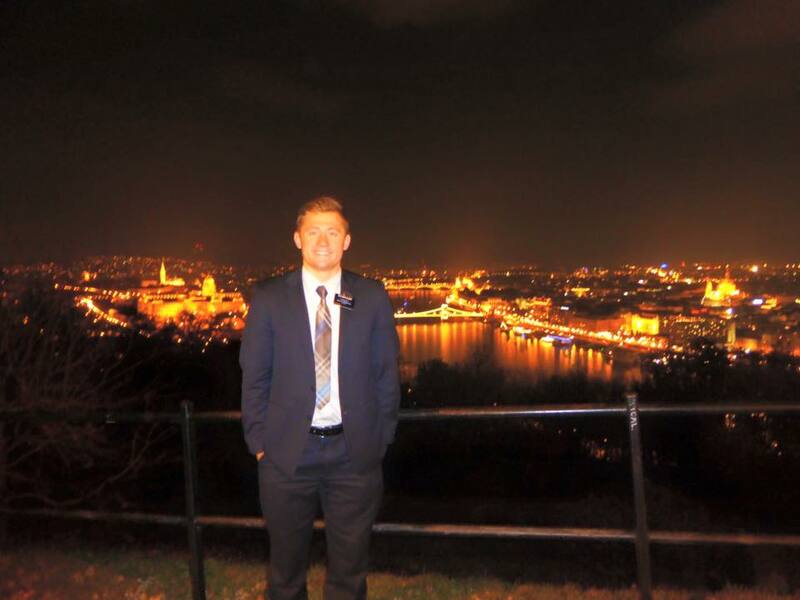 It was really fun to be down there and to see the other missionaries. The Balaton Lake, as seen in the pictures that I uploaded, is one of the most prettiest places in Hungary. It was awesome to be able to see it and to take a couple quick pics by it! Another fun thing that we actually just did today was we went to the Budapest Cave. It’s the longest deepest cave in Hungary. And you only need 4 bucks to go in! super cheap! :) I posted tons of pics and videos of it on my drive! So have fun looking at that) It was a lot of fun. 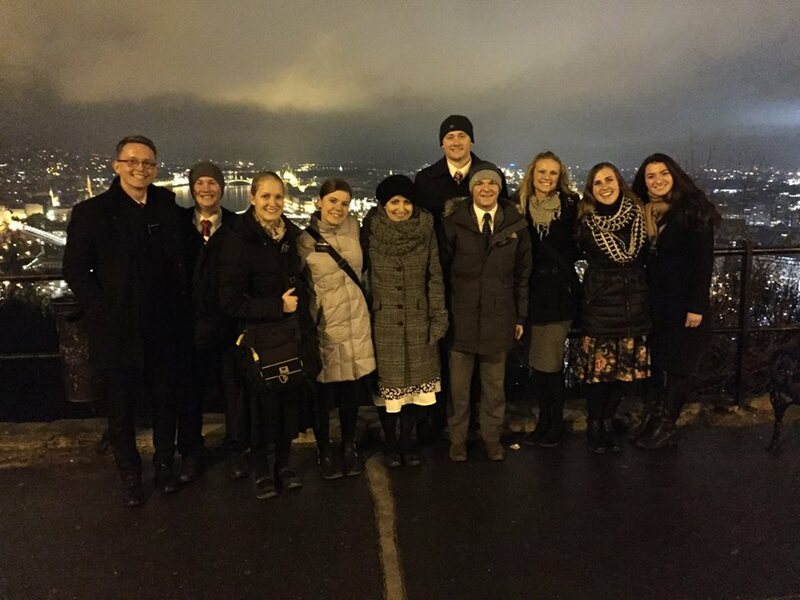 Last week there was a stake conference, and it was a great meeting. I was able to see all of my friends from Győr, Szeged, duna, and kis pest. It was fun to see all of them. 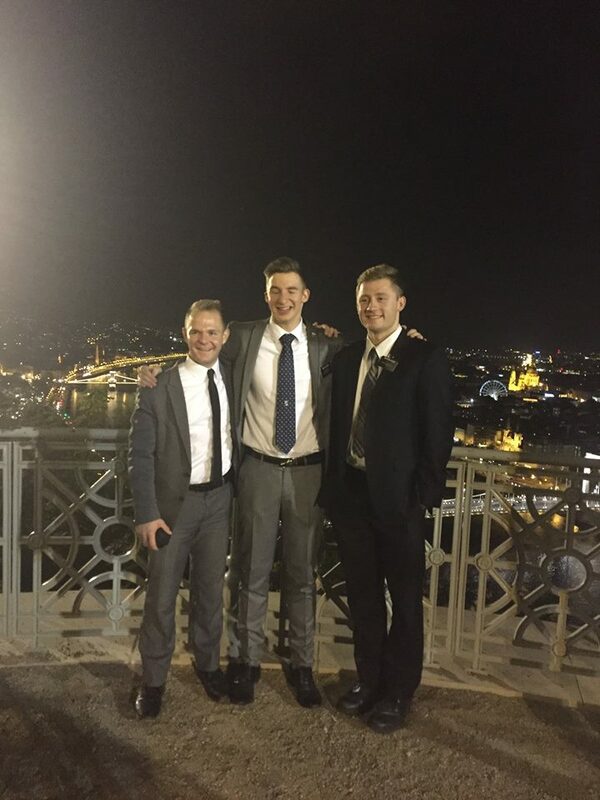 It was also MY LAST stake conference here in Hungary. It’s pretty crazy to think about it. ALSO! Christmas is coming around the corner. It finally snowed here in Buda today. We have already had a really cool family offer to let us skype at their house on Christmas day, and so we have that all taken care of. We will be going there towards the night around 5 o clock, which should be around 9 am your time! :) so be ready for that! And you don’t have to wait to open presents till after! ( your welcome brothers ) that will be my last skype! Also, not to make all of you more trunky than you already are.. The office couple called me this week and they asked me some questions because this week they are buying the flight for when I go home! So I should be getting that information really soon! be looking for that! Matyás is still on bap. date for the 12th! he is looking really good and I most likely am going to end up baptizing him. I’m really excited for that opportunity. OH! this week, every morning we have been working out with sis. szabadkai, Szabadkai elnök, and luca, their daughter. We go over to the mission home every morning at 645 and put them through a workout. Its super funny. Sis szabadkai couldn’t hardly walk down the stairs! haha It’s a fun experience. But keep president szabadkai and his family in your prayers this week. His mom passed away this last week at age 88 ( which is really old for Hungarian people) Through the middle of the week they had a hard time and they were in pécs ( the city where he is from ) just about every day. Another transfer is coming our way! my officially last one! 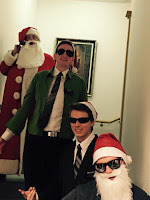 Dec 10, new missionaries come in.. old ones out. And I will be staying here! It’s going to be so fun to be in Buda during Christmas and new year’s! then I only have a month and 18 days! Time is flying! Here is the thought for the week! 24 This is eternal lives—to know the only wise and true God, and Jesus Christ, whom he hath sent. I am he. Receive ye, therefore, my law. "NOW IS THE TIME FOR US TO PREPARE TO MEET GOD, AND TO PERFORM OUR LABORS WHILE THE DAY LASTS"
Hey guys! We have so much going on and in just a few minutes I have to meet with president szabadkai to talk about the upcoming transfer and about the upcoming week. And then at 4 o clock we have a baptism here in Buda.. and then after that its back to the Lords work! So, because of all that.. I’m sorry if this email is a little shorter this week! Max.. all I have to say.. is way to go bud. keep it up. keep killing it! You are looking really good. just make sure you keep learning from each and every game and give it you all every game. You will and can do amazing things. Rely on the Lord to overcome your weaknesses. stay humble. and keep your head on straight. Let your success speak for you. Love ya buddy! Luke! HAPPY BIRTHDAY! yesterday! I saw the Lego thing that you got. it looked really cool! 10 years old! crazy! This week was a normal week for us. Full of work.. president interviewed the whole mission this week. It was insane. We created the schedule for him and let me tell ya.. he had one busy week. We were able to help with some of it which was a great experience for us. Throughout this transfer.. as it comes to a close.. I have been reflecting on those things that I have learned. And one of the biggest things that I have learned ( or relearned ) is that of Repentance. There is times in our lives.. when we will feel a darkness surrounding us. When we will anxious, lonely, or depressed- or when we feel that we are standing alone. some of us will have times when we feel far from our heavenly Father. Or when we feel that we have strayed or lost sight of the light of the Gospel. Or when we feel as if we were in chains due to some sort of an addiction. Or we will have times when we might be weak.. and we allow something’s in our lives.. that we shouldn’t have. And when we come to these points in our lives.. we might say to ourselves "where is my escape?" " how do I get out of this darkness? " " where should I turn? " "where can I find rest?" The lord has said time and time again unto us, for this purpose was he sent here, that as we draw near unto him.. he will draw near unto us. That we should take his YOKE upon us.. that it might be light... because he is lowly and meek in heart. He suffered so that we might need not suffer. all he requires from us is that we have a broken heart and a contrite spirit. That we recognize... confess.. and forsake. and With that he has left us a glorious promise of " and I the lord will remember them no more. " How wonderful is that? Time and time again in my life I have experienced this sweet joy that only repentance brings. With small and large things, the burden has been lifted, my hands been made free, the darkness dispersed, and my heart made light. The spirit has come into my life with a new, greater force. I have come closer to my savior. And he has come closer to me. If you are sad, anxious, down, disappointed, depressed, worried, or down trodden... I suggest to you and tell you that the way to be happy is through true, sincere, repentance. Hey guys! It sounded like your week went pretty well outside of some sicknesses! You will all be in my prayers and fasts! 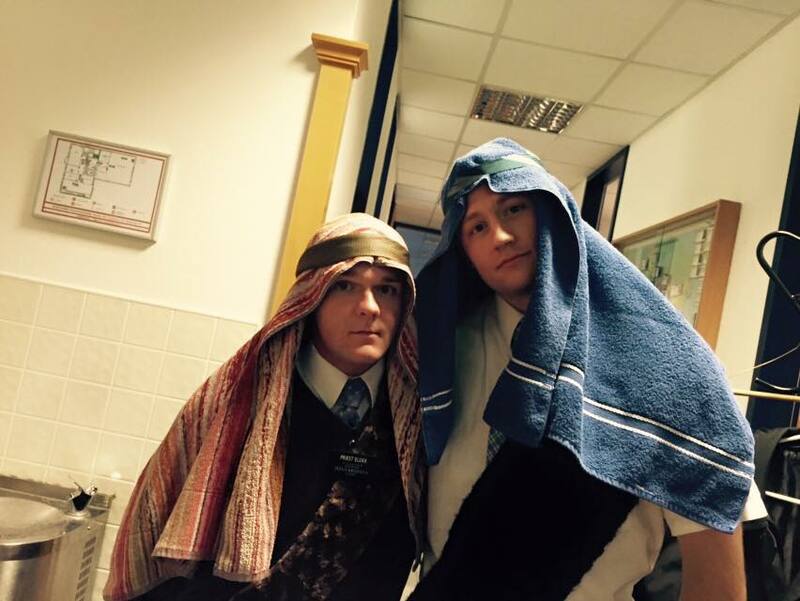 This week in the Hungary Budapest Mission was no calm week! I would be willing to say that it was one of the most busiest.. hectic weeks that I have had here in Hungary! But it was really fun and I learned a lot. Probably one of the best things that happened this week was that Mátyás got baptized and tomorrow he is getting confirmed. I had the wonderful opportunity to baptize him. Everything went well.. I said the prayer right.. and I only had to dunk him once.... ( thanks to the pre-baptism-warm up that I did :) ) haha. It was a very spiritual meeting. The whole Szabadkai family was there with us. It was a great experience. On Monday this week we spent the whole day preparing and planning for the hectic weeks that we have ahead. That includes all the new missionaries coming in.. all the old ones going out... training's.. conferences.. and next week Zone Christmas Conferences every single day from 9 am -6 pm. Then after Christmas is over it will die down a little bit and then I only have about 7 .. 6 weeks left starting January.! The year I never thought I would see! 2016! ha Oh BTW! we have schedule with a family for Christmas night to skype and have dinner at! It will be at the Demeterék.... and we will go over to their house at about 4.. 3 pm.. have dinner.. and about 5 o clock we will start skyping :) so that is about 9 o’clock in the morning for you guys:) How does that sound? I will be adding you on skype this week at the demeterék when we are at their house. Can I get Your skype info dad? just send it in an email sometime before Wednesday when we meet with them this upcoming week and then ill add you on Facebook and on skype :) I’m so excited to see you guys! last skype experience! 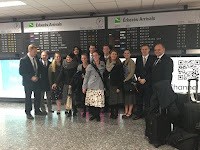 On Tuesday we spent the day picking up the new missionaries from the airport.. and being with them all day.. getting their first day of streeting... and also taking them out to have Hungarian food.. getting all the things that they will need for their mission. 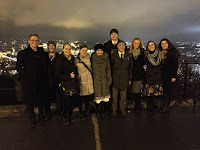 Then we had dinner that night with the szabadkais and then we took them up to Buda castle to look out over Budapest and to read the dedicatory prayer. It was a long.. busy day! we then took them to the hotel that night. On Wednesday we picked up the greenies from the hotel and took them to the mission home for the training that pres. and us were giving to them. Our presentation went well. I shared with them some of the miracles that could happen in their first city.. even in their first couple weeks! like for example. splitting your eye open playing basketball.. or ( some of the more serious ones.. ) finding the 3 little kids and seeing them progress to baptism.. or finding someone tracking and having them be baptized the following week. Or just having cool moments with your companion. I also mentioned to them that your trainer can, like mine was, turn into your best friend and your closest companion! 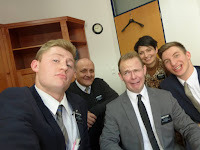 -- then we switched gears and spent the day with the old missionaries.. I’m tellin ya.. its super weird going from the fresh.. to the well seasoned. ha You see both sides of the spectrum.. and it really hit me this time.. because I remember how fast my greenie transfer was.. and now to think.. HEY.. THATS ALL I HAVE LEFT.. is a crazy feeling. But I’m so excited:) We again had dinner that night with the szabadkais and then went up to another lookout point called gelert hegy with the missionaries. then took them to the hotel. Friday was full of practicing and preparing for next week’s zone conferences. Today we had a baptism in the morning.. then starting at 4 we have to be here and there is going to be a huge Christmas concert and open house that the ward is doing we will be in a room where investigators from the street come in and we have to teach about the first vision. It will be fun.. but exhausting. Tomorrow we will be dealing with church and then we have to do office work and collect numbers form the mission and continue to get ready for the conferences that which will consist of our whole week next week. And now my son, Shiblon, I would that ye should remember, that as much as ye shall put your trust in God even so much ye shall be delivered out of your trials, and your troubles, and your afflictions, and ye shall be lifted up at the last day. I testify to you guys that this is 100% true. Put your trust in God! This week was one of those very very.. hectic weeks! 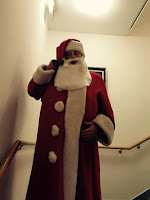 But it put me right into the Christmas spirit! We had Christmas Zone Conferences every day Monday - Friday from 9 Am. to 5 pm. With each of the different Zones in the Mission. It was a very cool, spiritual, fun experience. It was also interesting to see how each of the Zone Conferences were different. We gave training in the morning, because in the morning it was usually the trainings and the more spiritual things.. then we had Christmas activities in the 2nd half the day. But we gave training on Planning. Because nothing gets done without planning it first. We talked about how planning is an act of Love and Faith. 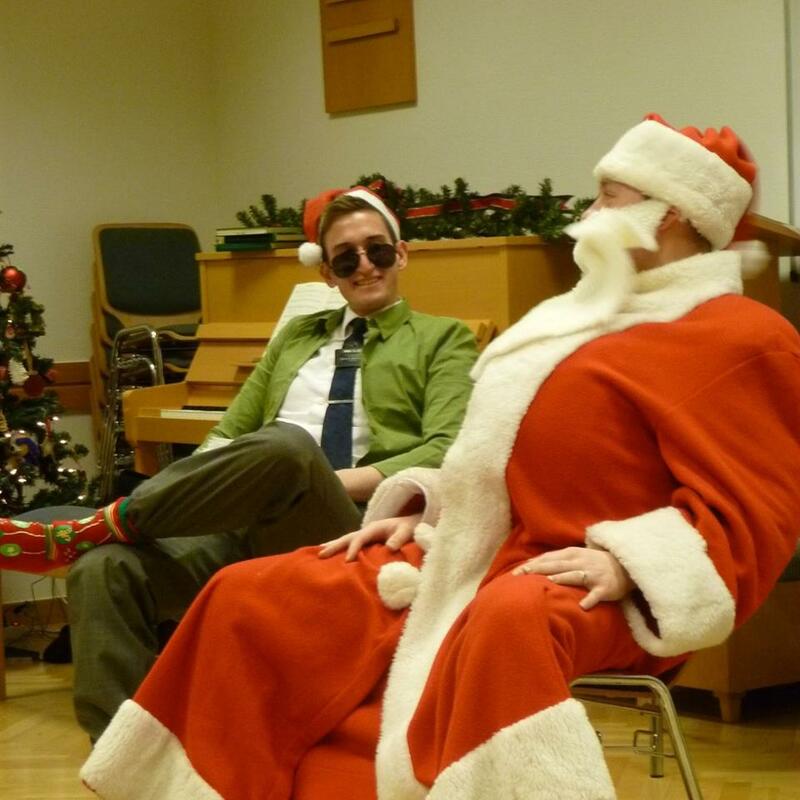 We also talked about how Christmas is Christmas.. because of all the preparation that we do leading up to the 25th. Or that Holidays are really that which we prepare them to be. And essentially every day is that which we plan it to be. If you plan a day of celebration.. it will be a day of celebration. If you plan a day of idleness.. it will be boring. etc. Then we did a little activity with them and then showed this short film at the end in connection with planning being acts of love and faith.. which are Christ like attributes. http://www.mormonchannel.org/watch/collection/come-unto-christ/christlike-attributes-2 - I encourage you to watch it and to share it. 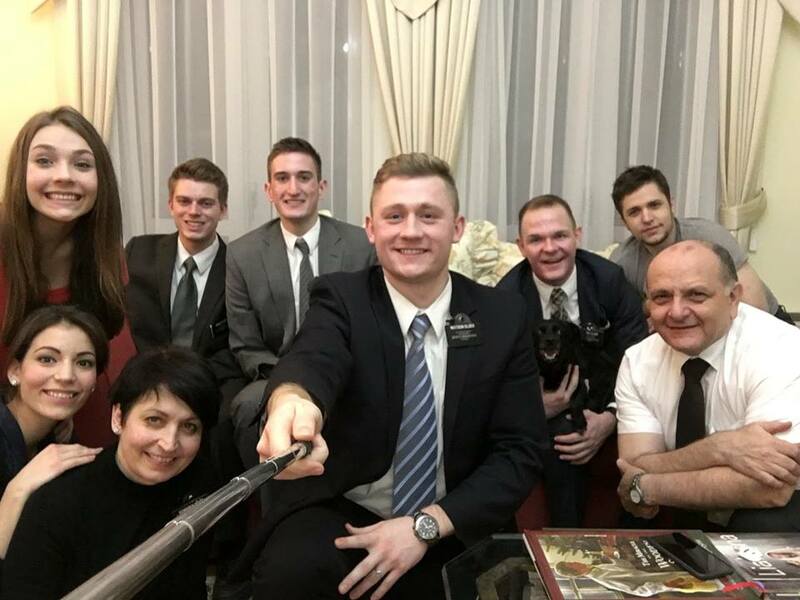 I told the missionaries each and every day, that the SINGLE MOST IMPORTANT THING that we will ever do or can do in our lives, when all that is said and done.. is to preach the Restored Gospel to all of our brothers and sisters. ( that includes neighbors, friends, classmates, co-workers ) and that we should teach.. with our examples.. but not let that be an excuse to not open our mouths and proclaim it. Faith is built in hearing the Gospel. Also, that without the Gospel.. our lives are truly pointless. Everything we do is pointless without the Gospel of Jesus Christ. Which in and through we may win Eternal life.. the greatest gift God has ever given us. ( D&C 14:7 ) If you are ever wondering what would be the most worthwhile thing to do in your life.... It is to preach the Restored Gospel of Jesus Christ.. To everyone.. and that includes our children. It is to do missionary work. which temple work, genealogy, temple service are all included in this great Redemptive work. In D&C 18 it speaks of how great our joy will be if we shall bring even just one soul into the kingdom of God. Modern prophets have said that that one soul is even us. ourselves. How do we do that? we must become spiritually self-sufficient / independent. Just as moroni in the last chapter of the book of Mormon. He was alone. No ones testimony to lean on. He had his own. All he needed was God and the Scriptures. so once again.. how? Read the scriptures. for they shall tell you all things that you need to do. There is a true force, peace, power that comes only through reading the words of the prophets. Pray, and share your testimony often. Ones testimony only strengthens as one shares it and lives it. Then once we are strengthened.. we MUST.. all of us... strengthen our brethren. Don’t be afraid to share the gospel. Don’t be scared because you might think you’ll lose a friend, or someone will judge you. The lord has promised all of us that he will be by us. and strengthen us.. so that we might bare record of Him. It is our Blessing and Responsibility to bare record and teach our brothers and sisters the Restored truths given through the prophet Joseph Smith. If we don’t.. who will? Especially as ordained Full- Time missionaries.. who are to go out into the world..representing Christ.. to prove the world.. and to raise our voices like a trump from heaven declaring repentance to every nation for the great day of the lord is at hand. And that the Church of Jesus Christ has been restored for the last time. NO ONE else has this message. no one in the world. and it’s our blessing to share it with boldness and love. I encourage you, as we come upon a new year, to create a family missionary plan. Create a plan to bring someone to the waters of baptism with the help of the local missionaries. ( this will involve several steps) It might be hard.. and it might stretch you in several ways. It will be a wonderful growing experience for you and for everyone involved. And while you give service.. mention the gospel. Mention the church.. set a great examples.. and then be always ready to give a response for the reason of joy that is in you. This was the message, excluding the family missionary plan part, that I shared with the missionaries here! Then we had a wonderful Hungarian lunch that Sis. Szabadkai made for us! after.. the 4th day I was kind of sick of it.. but it was still good:) ha Then we had a year slide show for the mission. 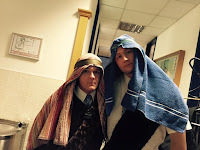 We had a surprise Bethlehem play! The one that is on Facebook is the first time we did it.. and it wasn’t the best. There was much better and funner ones throughout the week. Some things changed. I will try to have pres. szabadkai load them up for you. and check that frequently.. I will be on there a lot. haha Then we had a white elephant.. the senior couples gave a thing on Christmas traditions that they did in their homes.. then we had Santa come.. it was hysterical. the last day.. with pres. szabadkai.. was the best. He only posted a small clip of it online.. but that last day was the best! It’s nice to have a break today though. now we should have a relaxing week. 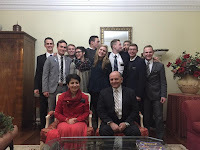 We are excited for a break.. without any going home.. incoming.. missionaries.. trainings.. etc. We will be spending our time with members and the szabadkais for Christmas.. and all week. I am very excited to skype and see you guys on the 25th at around 9 o clock your time:) I can’t believe I made it through 2015! ha only 8 weeks left! isn’t that crazy? In closing I will share the scripture that I have been studying and memorizing this week. But behold, I,Nephi, will show unto you that the tender mercies of theLord are over all those whom he hath chosen, because oftheir faith, to make them mighty even unto the power ofdeliverance. I love you guys! have a great Christmas! I miss you all so much!